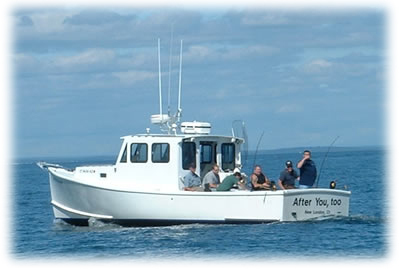 The charter boat After You, too provides fishing charters in Connecticut at affordable rates for your group of up to six (6) passengers. 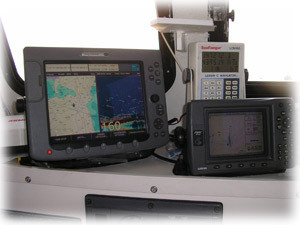 The boat, a 32' H&H was custom built in 2003. It has an 11'3" beam and is powered by a 370 HP Yanmar Diesel. Top speed is 20 knots, and it cruises at 18 knots. It has an enclosed toilet and is outfitted with state-of-the-art electronics and modern safety equipment. Our boat is docked at Captain Scott's Lobster Dock, 80 Hamilton Street, in New London, CT. We start our fishing season around the second week of May, just when the large Stripers arrive. Striped Bass fishing will be at it's best for the next six or eight weeks.In late June Bluefish start arriving in good numbers. We'll catch Stripers and Blues all through the summer and fall. 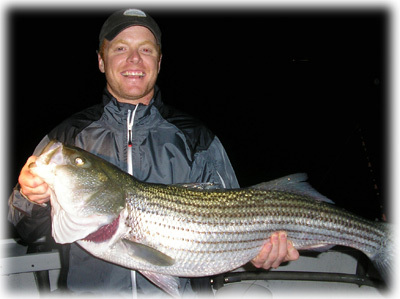 By mid-July most of the large Stripers will be caught in the evening or at night. Fluke, Porgies and Black Sea Bass can also be caught throughout the summer. New this year… In late July, August and September we will be doing some cod fishing trips south of Block Island. Call for more information. 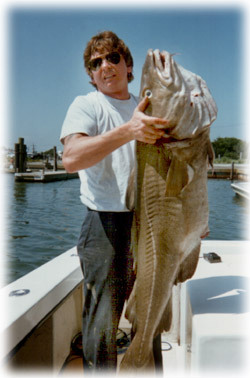 Captain Frank Blume has over 40 years fishing experience and has been a licensed captain for over 30 years. Captain Frank was recently featured in Top Rated Saltwater Fishing with a First Choice listing with other selected affiliates. "Very knowledgeable captain and explains everything. Absolutely safety conscious!" -Scott Burns, East Hartford, Ct.
"Great fishing! This captain knows his stuff!!" -Earl Cummins, Fairhope, Pa.
"Frank is an outstanding captain! Knowledge of Cape and Long Island Sound is astonishing. "-Bob Mischou, Plainville, Ct.
"Anyone who wants to go fishing and have a great time has to go with Capt. Frank"-Jerry Wragg, Windsor, Ct.
"Excellent, knowledgeable and worthy. Knows his stuff. "-Carmine Ianno, New York, NY. "It was the first time I had to force myself to stop fishing awhile just so I could eat lunch. Fishing was unbelievable. "-Michael Berube, East Hartford, Ct.